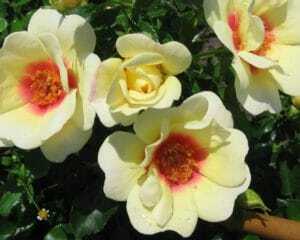 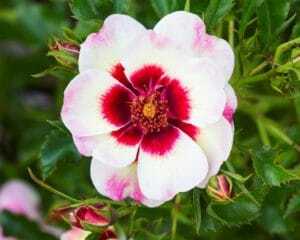 Here you will find our complete assortment of Babylon Eyes Roses. 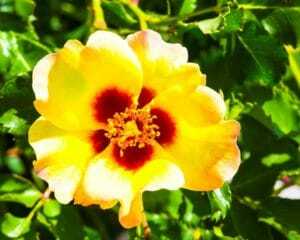 By clicking on a photo you will find the trade name and colour description of each Babylon Eyes Rose. 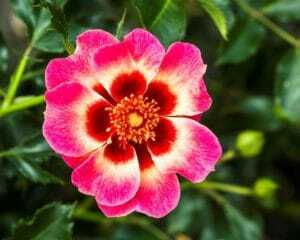 Meet our shrub rose collection ‘Babylon Eyes’: compact, single-flowered roses producing a rich display of red, yellow, pink or orange flowers with an eye-catching centre in a contrasting colour. 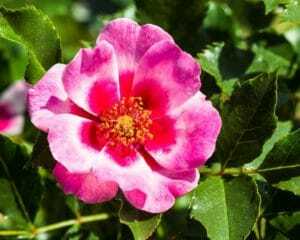 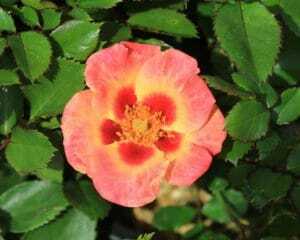 In Europe, Rosa ‘Babylon Eyes®’ produces flowers from March/April until far into autumn, and this shrub rose requires no deadheading. 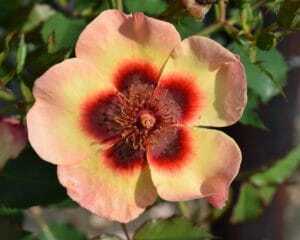 These characteristics – and their unique eye-catching flowers – also make Babylon Eyes roses the perfect choice for use in pots and containers. 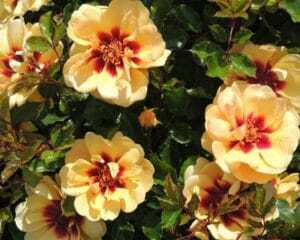 The introduction of the Babylon Eyes was an immediate success being distinctively different: mass of blooms, continuous flowering, eye catching colours, lush green foliage, compact bushes and strong disease resistance.